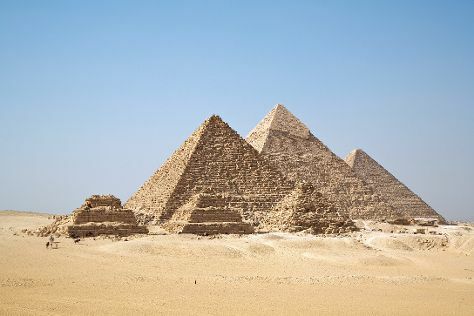 Get out of town with these interesting Cairo side-trips: Giza (Pyramids of Giza & Great Sphinx). Spend the 17th (Wed) behind the viewfinder with an inspiring photography tour. There's still lots to do: delve into the distant past at Saqqara (Sakkara) Pyramids, walk around Al-Azhar Park, see the interesting displays at Egyptian Antiquities Museum, and take in the spiritual surroundings of Mohamed Ali Mosque. To find ratings, photos, more things to do, and more tourist information, you can read our Cairo trip planning site . If you are flying in from Kuwait, the closest major airport is Cairo International Airport. April in Cairo sees daily highs of 34°C and lows of 19°C at night. Wrap up your sightseeing on the 18th (Thu) to allow time to travel back home.